Bob LaRosa reviews the line of Kuryakyn Kinetic grips, throttle boss, floorboards, foot pegs, brake pedal pad and shifter pegs. A staple of Kuryakyn’s new Kinetic line, the Kinetic grips are a long awaited update to the popular ISO®-Grips line. Designed to offer the ultimate combination of performance and styling, these new grips build on the concept from one of Küryakyn’s earliest product lines. 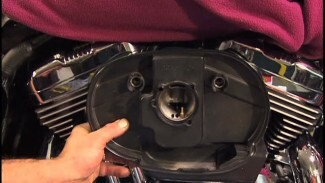 Utilizing rubber with incorporated air pockets to isolate the rider from vibration. This tried and true concept is made even better with the use of modern materials. See the full line of Kuryakyn Kinetic products here on Fix My Hog and for sale on Dennis Kirk. Make sure to watch Bob install all of these products in the Performance & Upgrade category of videos.